Ever taken G? It can be a lot of fun, but it can also be dangerous if you take too much. GHB is back in the media spotlight this month after 20 people ODed at an event in Melbourne at the end of Feb. 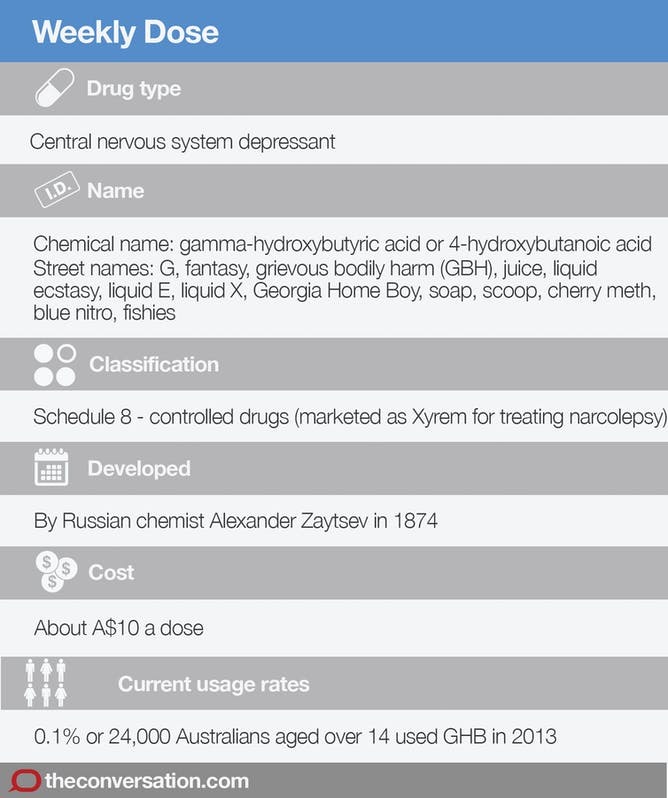 Expert Dr Juliana Allan from Charles Strut Uni gives a rundown of the drug. GHB has many street or slang names including G, fantasy, grievous bodily harm, juice, liquid ecstasy, liquid E, liquid X, Georgia Home Boy, soap, scoop, cherry meth and blue nitro. It is also called fishies because it is sometimes sold in the small fish-shaped soy sauce containers sold with sushi. GHB has an interesting history. 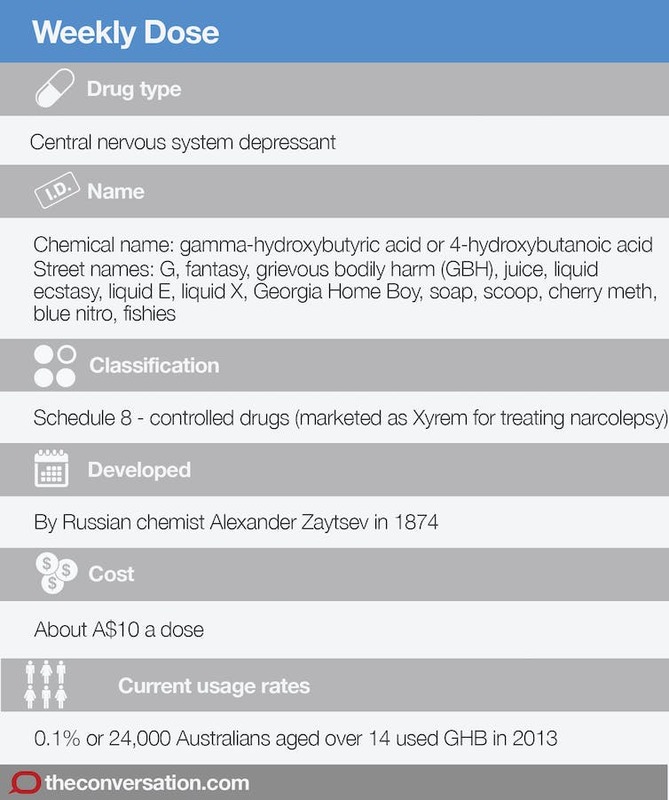 Russian chemist Alexander Zaytsev synthesised it in 1874 but there are no reports about how it was used at the time.